Last year I shared a post about makeup ideas, and I really thought you would laugh and throw wood scraps at me… because honestly I don’t know a lot about makeup. Surprisingly you loved it – it was one of my top three posts of all of 2014. I don’t really know a lot about makeup – but my assistant Kasey (who is a licensed hair & makeup artist) does. So once again I’ve begged her to pull together ten of the best ideas she could find on the internet to help us all learn a few makeup hacks. 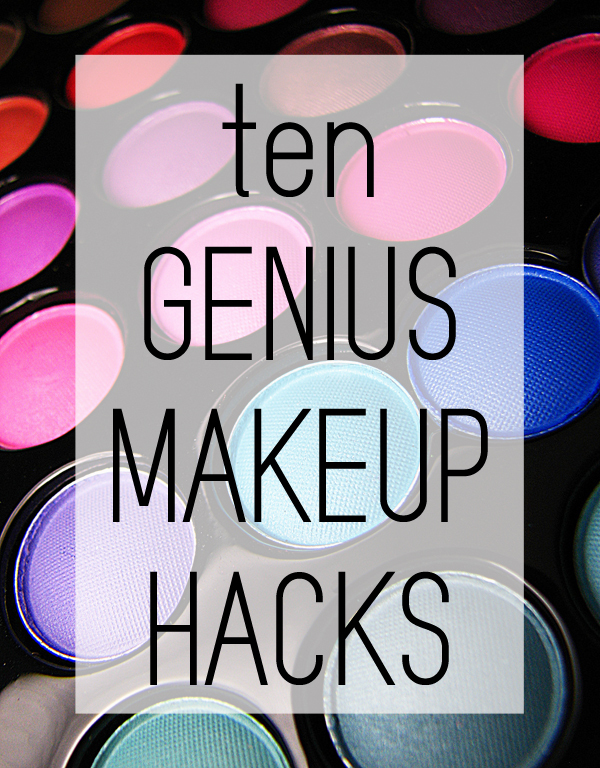 Like these makeup hacks? You can find more on my Beauty Tips Pinterest Board!